At the time of his disappearance, Billy, a Karen environmental and community rights defender, was working with fellow villagers and activists in Kaeng Krachan Park to prepare legal proceedings to challenge officials’ alleged burning of villagers’ homes and property in 2010 and 2011. State officials – who kept no record of Billy’s detention – maintain that they released him. A local police investigation made no progress in ascertaining his fate. Enforced disappearance – when a government does not acknowledge the fate and whereabouts of an individual who has been taken into state custody – is a serious crime under international law and a particularly cruel human rights violation. It torments family members and close ones who continue to hope that their loved one is still alive, and doesn’t cease until the disappeared is finally accounted for. After long-standing calls for the Department of Special Investigations (DSI) to investigate Billy’s disappearance, the DSI announced it was opening an investigation in late June 2018. Amnesty International calls on the authorities to ensure that this investigation is independent, impartial and thorough. It must lead to full redress for his family and affected individuals, including by holding all perpetrators to account. But the continuing lack of information as to Billy’s fate, and the obstacles that his widow, Pinnapha Prueksapan, continues to face in her quest for justice, show that this is no time to let up the pressure: without continued mobilization around Billy’s case, any hope for justice will remain faint. Billy’s case has larger implications for Thailand: cases of unresolved enforced disappearances continue to plague the country and taint its international reputation. Thailand’s history is marred by the disappearances of those who have challenged the status quo. Thanong Po-Arn (the President of the Labour Congress of Thailand, who disappeared in 1991), and Somchai Neelapaijit (human rights lawyer and chairman of the Muslim Lawyers Association, who was last seen in 2004), are among the 85 people whose unresolved disappearance in Thailand was reported to the UN Working Group on Enforced and Involuntary Disappearances. A failure to deliver justice to their families brings the entire state into disrepute, even when responsibility may lie with a small number of individuals. In people’s minds, as long as they stay unresolved, these disappearances will continue to evoke the spectres of high-level cover-ups, corruption, abuses of power and general disregard for ordinary citizens’ human rights. Enforced disappearances are often an indication of a government that has abandoned the pretence of compliance with its human rights obligations. 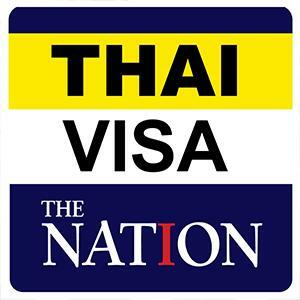 Thailand should prove it does not belong in this category. Every disappearance highlights a failure by state authorities to address their responsibility to protect those whom their officials detain. This is why the state must fulfil its duty to act on each and every disappearance to ensure the truth. This includes the current fate and whereabouts of the disappeared person and taking measures to prevent this grave violation from happening again to others. Thailand’s new government has an opportunity to make good on successive administrations’ promises. This is a chance to show they are serious about addressing a plague that profoundly undermined citizens’ trust in their officials, erodes confidence in the rule of law, and tarnishes the country’s international reputation. The new government should likewise make it a priority to pass the Draft Prevention and Suppression of Torture and Enforced Disappearance Act, currently under consideration, after amending it to comply with Thailand’s international legal obligations. The new administration must also follow up on the resolution by its National Legislative Assembly of March 2017 to ratify the UN Convention on Enforced and Involuntary Disappearances, which it has already signed. Finally, it must amend current legal provisions that allow for detention in unofficial places of detention, as well as detention without charge or trial. The anniversary of Billy’s disappearance highlights the grave threats faced by human rights defenders. It also exposes the state’s failure to deliver justice to the victims. This day must serve as a reminder to the current and incoming governments of their obligation to uphold and protect people’s right to defend those very rights. Where necessary, the state must also provide them with effective and tailored protection from any form of reprisal. They are, after all, only trying to make their country better.